To prepare my students for the state writing exam they will take in February, I began developing materials to help them step through the process. 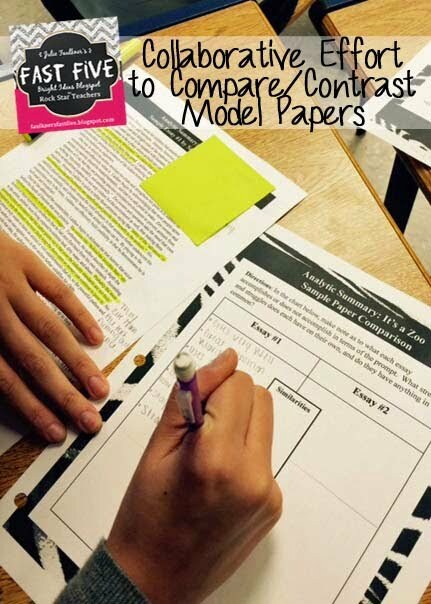 They will actually write two text-based essays: an analytic summary and a compare/contrast essay. The analytic summary is straight from Common Core R.2 and W.2, and it is a completely new mode for our state. 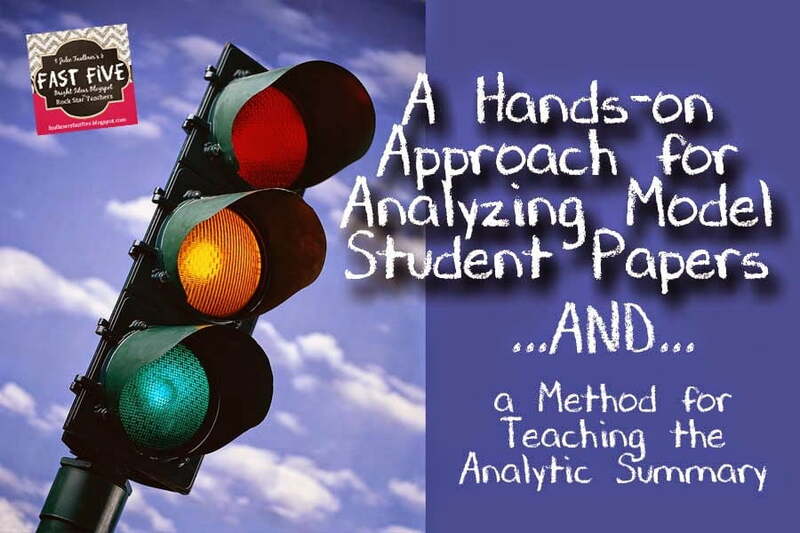 Here are the steps in the lesson I did with my students to introduce the analytic summary. 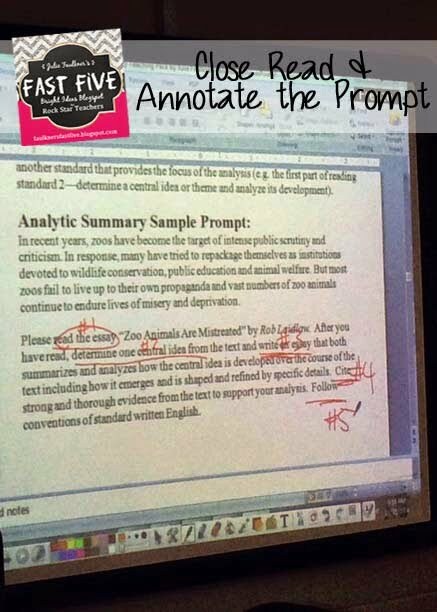 Whether it is a familiar mode or not, it is important for students to know the premise behind the prompt. This enables them to understand the basis of the task and ultimately know how to shape their response to achieve the desired outcome. I even show them the standard(s) from which the mode is derived. Secondly, in this step, I provide the students with the vocabulary words and definitions so there are no barriers in understanding there. (I provide a list of those, as well as the explanation of this mode, in my Analytic Summary Teaching Pack on TPT). So students fully step into the simulation, I feel the steps must be authentic to the process they will encounter on the state exams. I found an interesting nonfiction article and created a prompt and some sample papers to go with it. I have the students read the prompt to themselves and circle all the action verbs/commands that it tells them they have to do. Then we number those, and ultimately they have a road map or checklist of what needs to be completed. This way they don’t leave anything out once they start the process on their own, and they know what it is asking them to do. I find that with this type of prompt, students tend to actually miss what the prompt says to do. Instead they get fixated on the issue raised in the stimulus. This step helps combat that issue. Next, we read the stimulus, as that is the first step that the prompt says to do. 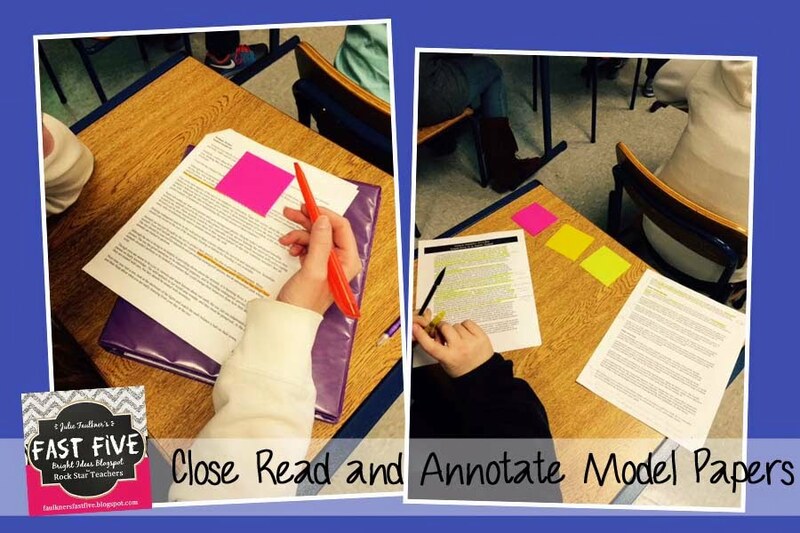 I provide students with highlighters, and they make specific notes about the article’s purpose and main points. We do spend a few minutes here summarizing (using the SWBST strategy) and discussing the article. While they can’t discuss anything during the state exams, I find it necessary to model how I want them to read the stimulus and for what information, so it’s still part of the learning process here. Once they had the sample essays categorized, we voted on which one was which. Some students didn’t have them correct, so we discussed the correct answers. There are a couple of things that I love about this activity. First, it is hands-on, and that makes it better already! Secondly, students are actually getting to see three types of answers, and the ball is in their court to figure out which is which. It’s a good, productive struggle. In this step, I provided students with a venn diagram and their job was to analyze the yellow and green essays to determine what qualities they each possess that landed them in that category. I encouraged students to lists strengths and struggles of each essay. Students worked with one partner to complete this portion of the lesson, which fosters healthy discussion and sharing of ideas. (I love listening in on their conversations when they are talking about writing! Nerdy, huh?) Then I took suggestions from them and wrote those answers on the board. It’s not a secret that students will be given a grade for the essays they write for the state exams. In this step I have a copy of the state rubric, and students give the two essays a score. This is a crucial step so that actually know what must be included to achieve a passing score, and they have a solid example right in front of them. This lesson took me two 90 minute class periods with a class of honors juniors. I could definitely see it taking maybe a day longer to go even more in-depth with discussion. These steps and activities can be done for any mode and with any set of sample papers. 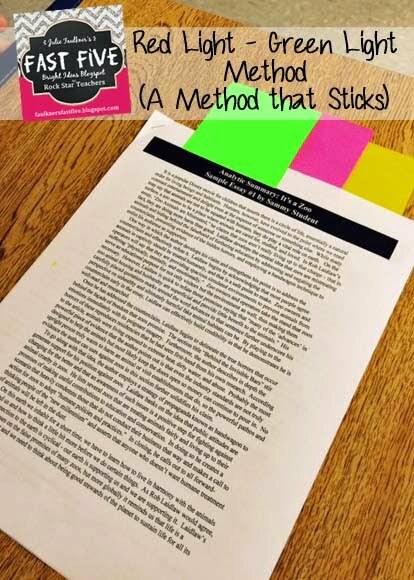 If your state is administering the Analytic Summary as part of your End of Course exam or if you are looking for a higher-level expository prompt, hop over to my store to get a full teaching pack that includes graphic organizers, and the sample prompt, and papers I used in this lesson!